Die formed and chased hollow form. 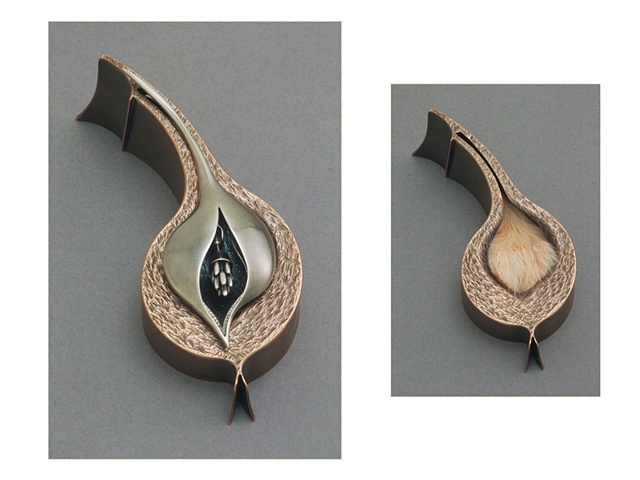 Fabricated brooch and box with hinged and threaded inner piece, which accepts three interchangeable elements. Inner silver seed form is styled after a meadow rue flower, which was carried by native americans to elicit love. This is part of a series dealing with relationships, human desires, and misconceptions in regards to love and lust.